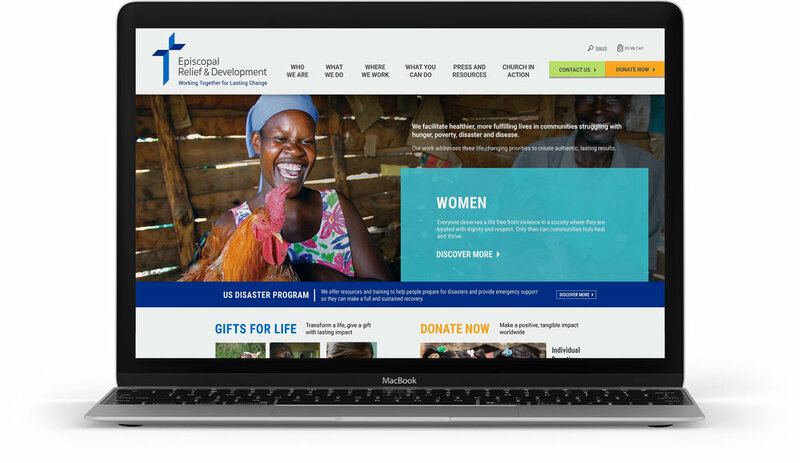 Episcopal Relief & Development is the international relief and development arm of the Episcopal Church. They facilitate healthier, more fulfilling lives in communities worldwide. Having refocused their priorities to address violence against women, early-childhood development and climate-influenced disasters, they needed to better message their new focus and life-changing work. BrandTuitive refreshed the brand positioning and brand messaging to better reflect the lasting change the organization was creating by collaborating with struggling communities and working with the strengths they already have. The new logo represents the organization’s collaborative approach, connects it with the Episcopal Church and reflects the desire of Episcopalians to exercise their faith out in the world. The new tagline, “Working Together for Lasting Change,” clearly communicates the importance of collaboration in creating truly life-changing and lasting results.